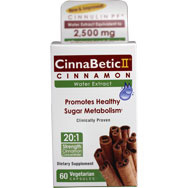 Count cinnamon among those rare consumables that defy the adage that says for anything to be good for you, it has to taste awful, or at best not very good. Cinnamon is one of those spices that for thousands of years has been identified and embraced as beneficial to our bodies in many ways. Plus, it adds a nice touch when sprinkled on coffee or lattes, toast and donuts, a combination which for many of us, including, we assume, some police officers, constitutes a breakfast of champions. Chinese botanical textbooks, according to foodfacts.mercola.com, have made mention of cinnamon dating back more than 4,700 years, and its biblical references are numerous as well. 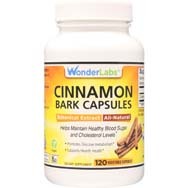 Found on the branches of wild trees growing in areas such as the Caribbean, South America and Southeast Asia, cinnamon's bark is not only good for our bite (mostly in powdered form), it serves a multitude of medicinal purposes as well. In medieval times among physicians, those benefits included providing relief for coughs, arthritis and sore throats. 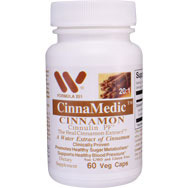 Among cinnamon's other possible health benefits, as reported by medicalnewstoday.com, are its ability to fight off bacterial and fungal infections, battle Alzheimer's disease, reduce the negative effects of meals high in fat, and hinder multiple sclerosis's destructive processes. 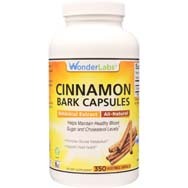 Along nittier-grittier lines, cinnamon has been used in traditional Chinese medical practices for colds, flatulence, nausea, diarrhea and painful menstrual periods, according to alternative medicine expert Cathy Wong, N.D., writing for altmedicine.about.com. "It's also believed to improve energy, vitality, and circulation and be particularly useful for people who tend to feel hot in their body but have cold feet," Wong writes, adding that it's a common ingredient used in chai tea, with an apparent capacity to improve the digestion of fruit, milk and other dairy products. 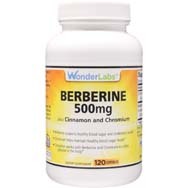 One of the most widely reported benefits of cinnamon, as discovered in more recent years, according to various studies, is its reported ability to help regulate blood-glucose levels. 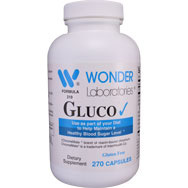 That's good news for diabetics. The American Journal of Clinical Nutrition, according to womenshealthmag.com, reported on a study that found that a teaspoon-plus of cinnamon added to rice pudding was a factor in reducing blood sugar, even for people without diabetes. "It's emerging as a true wonder food in terms of health protection," says South Carolina physician Ann Kulze, M.D., author of Dr. Ann's 10 Step Diet. This is not to say that cinnamon is a miracle spice that does everything right, though. Which brings us to another old adage: too much of a good thing might not be good for you. Don't think for a minute that feasting daily on spoonfuls of the sweet stuff will give you carte blanche to gulp down a bunch of sugar-laden drinks or polish off platefuls of chocolate cakes or pies without consequences. In fact, eating too much cinnamon can work against you. Animal studies, as referenced at eatingwell.com, "suggest that a compound in cinnamon called coumarin may be toxic in high doses (although humans might not be as susceptible)." According to medicalnewstoday.com, coumarin has been linked to liver damage. 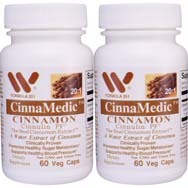 Cinnamon also is available in supplement form, although diabetics are cautioned to discuss possible use of cinnamon supplements with their physicians, because an adjustment to their medical treatment could be in order if such supplements are being ingested simultaneous to medicines that might not mix well. In that regard, don't let cinnamon become a bittersweet addition to your diet.